I’ve been running off and on for a few years now. I would never call myself a runner. I’m not very good at it, in fact some days I’m awful at it. And most days I have to drag myself out of bed to do it, but when I’m finished I’m instantly glad that I did. The other morning I was working my way through mile number 2 and it wasn’t going so well. And I thought to myself,that even though it wasn’t going well, I could keep going. Many days are like that and not just in running but also in motherhood. You are not always built for it. I don’t have long legs, I’m slow and my body is anything but a runners. But I still get up and do it. I push those short legs,to run what they can, in a way that they can. I’m not built for parenting either. I don’t have tons of patience, I’m prone to liking a lot of time to myself, and too much chaos tends to overwhelm me. But every day I get up and I parent to the best of my ability. I find extra patience when I thought I had none left. I learn to breath when I need too. I take a break when I can. I push through till bedtime. And at the end of the day I realize that I still enjoyed it. It’s about the short game. The idea of running 5 miles is daunting to me, but this mile or this stretch I can make it. It’s the same with parenting. The terrible two’s may seem to be never ending but just focusing on the today is manageable. The miles may seem long but the run itself is short. The 40 minutes I spend running in the morning is usually a blur by the afternoon. The same way that tantrum filled day seems so small when you look back. The days are long but the years are short. Sometimes it’s not about how good you are at it but, what it is you put into it. Some days I am a really awful runner. I’m slow, I’m tired and I’m cranky. Some days I’m not the best mother. Some days I’m tired, cranky and really short on patience. 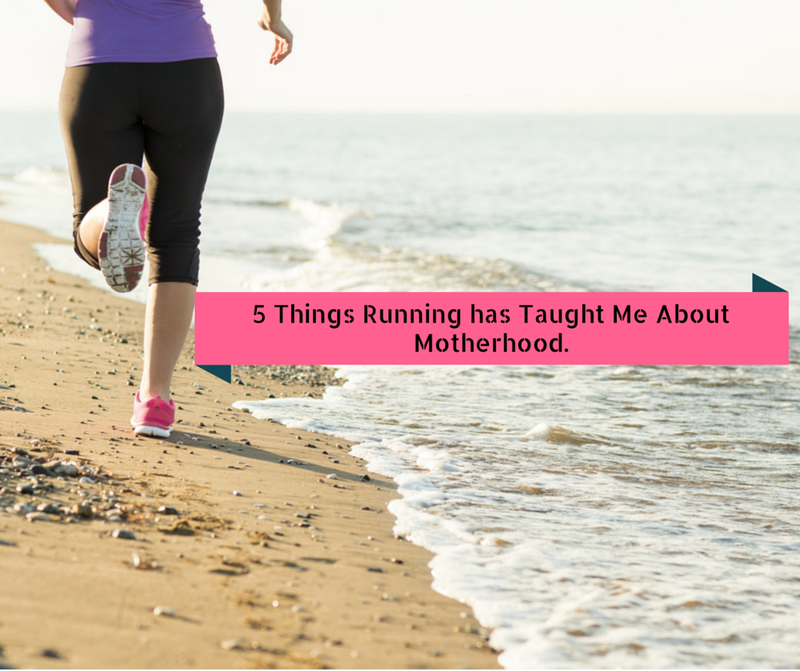 But for the most part Motherhood and Running are not about being perfect. And that many times the effort that we put into parenting is what really matters. I may never run a marathon or do the perfect Pinterest craft but I can try every day to be the best mom that I can. Every day I can make the effort to do my best and not someone else’s best. I ran a Fun Run this past weekend and the mile flew by because I was running with a friend. When we got to the end I was like, well that was fun. For me I run best when I have a partner, someone who is pushing me to do better and to make it to the finish line. Parenting is easier with a team. Whether that is family, friends or your local moms club, parenting is so much easier when you have someone to lean on and vent to. Not every run or day will be perfect.When I start on my morning run I always think it will be easy but it never is. I start every day with the idea that it will go well and some days it does. Some days I totally “win” this parenting game but other days not so much. And that’s OK. And while I do time my runs I try not to let it get me down when today’s time isn’t as good as yesterday’s. Just like each run won’t be perfect each day as a parent is not perfect. I never thought that I would like running or that I would learn something from it. Mostly I like that getting up and out the door early in the morning is a huge stress reliever for me. I’m a much better mom when I start my day before my son starts it for me. It’s a time of day for me to clear my head and that really does go a long way to making me a better Mom. You gave me goosebumps. It's all true (except I know nothing about running but you were so doggone convincing that I feel like I should go buy some new running shoes and one of those things you wear on your back that lets you squirt water in your mouth because: hydration). Even when it seems really awful, if you keep going it ALWAYS gets better. Excellent. I hate running but I've been doing 2miles on the treadmill *most* days, trying to improve my shape and cardiovascular health. 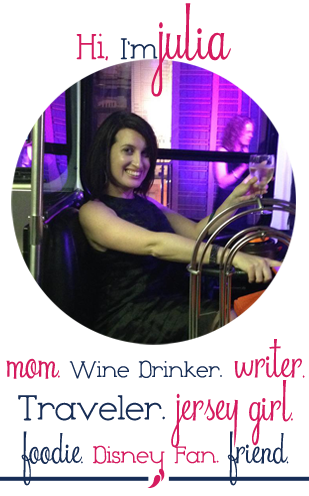 Loved your life application- great post! I ran for a few years, completely a few half marathons. I loved and hated it, probably more so hated it. Now that I can't run due to injury and actually miss it a bit. I love this. It's so true and what a great way to motivate us all. I keep getting motivated to run and then I get unmotivated very quickly. It's hard and painful for me. I started a couch to 5K again tonight, so maybe it will stick this time? So true. And so much of it is mental. What a great analogy. As a former (hopefully soon-to-be-current) runner and an occasionally overwhelmed parent, your points are right on target. "It's all about the short game" really resonated with me, because I tend to look ahead and to be consumed with all that needs to be done.I loved this.